We rented the movie Yes Man with Jim Carrey and Zooey Deschanel recently, and I won't review the movie here except to note that it was a fun evening. I really just wanted to say that I enjoyed the premise: that someone could have a much more adventurous and fulfilling life by saying "yes" than by saying "no." I find myself saying "no" an awful lot. I decline invitations to baby showers where I don't know anyone but the guest of honor, to weddings that would be inconvenient to travel to, to moms groups where I question the parenting style of the participants, to parties when I just feel like a night at home. What would it be like if I embraced the vulnerability of saying "yes" to more occasions? I've been thinking about this in particular as I whine about not having a tribe around me. I've found this to be a complicated subject with no clear rights and wrongs. On the one hand, I've chosen my life in a city far from family. I grew up moving around and living distant from extended family, and I'm used to that. On the other hand, I can see the beauty in generations living with or near each other and I get all ecstatic over the interactions Mikko enjoys when his grandparents visit. In the same way, Sam and I have, at various precise moments in the past, considered seriously the idea of communal living, with other family or friends. In all cases, we've not made that choice, and we now have cemented ourselves into a house for the near future that has only enough space for our small nuclear family. So, on one side is my philosophical, spiritual self saying, "It's not good to be alone. You were meant to be part of a larger community. You were meant to have people's lives and personalities rubbing up against yours and forcing you to adapt." And on the other side is my pragmatic, individualistic, introverted side saying, "Forget that. I just want my own quiet little space and my own quiet little routine, and the rest of the world can leave me alone." So then I have situations like when Mikko was a newborn and not one friend brought over a meal — and yet I'd gone out of my way beforehand to tell people off, that we were having a babymoon and, no, our parents couldn't visit the same week as our due date, and we need some time as a family, etc. It was both right and wrong. It was good in some ways and terrifyingly, exhaustingly lonely in others. I thought we'd be pushing people away, but no one came near enough to be pushed. Instead of blaming our friends, I wonder: How tough of a shell have we created for ourselves? How isolated have we chosen to be? In that spirit, I have chosen two tiny steps toward tribe. One: Last time we moved, it was in a hurry. Our apartment had flooded, it was right around Christmas, I was pregnant with Mikko, and by golly we were just getting it done. People offered to help but in that kind of wishy-washy "let me know if you need anything" sort of way, so we didn't impose. Much. We tried accepting a couple offers of help, and for one reason or another (holidays being a big obstacle), the help didn't pan out. So we hired as much help as we could afford and managed the rest ourselves and cried ourselves to sleep. I forget if that last part is true, but it sounds accurate. This time, more people asked us if we needed help. And kept asking. To the point where we thought, Gee, we would almost be rude not to accept it. Would it be so very terrible, we asked each other, to have our friends help us move? I mean, sure, we don't like helping people move, but maybe it's time to get over that particular character flaw as well! So...we said, "Yes." Yes, you can help us. And so people did. And so we have moved, and I feel loved. Two: I've talked a lot about the isolation of the modern mom, expected to shoulder all responsibility for her offspring alone. Paid help is frowned upon in many circles, whether it's a necessity or not, but unpaid help, in the form of trusted and responsible family or friends, is even harder to find. As work-at-home parents ourselves, Sam and I have had oodles of issues with balancing work, parenting and, you know, any other sort of living we might need to do. Our slight compromise is to send Mikko to a preschool two half-days a week, but that's not nearly enough time to get everything done that might benefit from a Mikko-free moment. Whenever we even want to just do something fun, just the two of us, we have to rely on Sam's sister to want to sit for us. Sometimes she does; sometimes she doesn't. That's the prerogative of volunteer help. We've considered hiring an actual babysitter, but I'm daunted on two levels: (1) finding someone competent and compassionate and a good fit for Mikko (craigslist and flyers tacked to bulletin boards, really?) and (2) tacking $40+ onto every evening we want to spend out together. It makes staying at home or going, once again, to a kid-friendly (or at least not kid-hating) restaurant seem more appealing than the alternative. But sometimes something really tempting comes up, and Sam's sister isn't available, and we're just out of luck. A babysitting co-op is basically a group of parents who agree to sit for each other's kids. By sitting for someone's kids, you earn points, and by using another parent's services, you spend points. In that way, no one has to pay for sitting; it's all done by other, trusted parents; the kids get to play with each other and make friends together; and there's no guilt or coercion in sharing the sitting, since it's all points-based instead of a series of favors. I'd heard about co-ops and was intrigued. I read a little about them online. I solicited some opinions from people who'd been part of them. And then I took a leap of faith. For me, this was really putting myself out there. I wrote an email for a handful of couples I knew from church, mostly only in a surface-level way but that who lived in my general neighborhood, and asked if they wanted to start a babysitting co-op with me. I held my breath and pushed the "send" button and wondered if I'd just lost my mind. Did I really want to head up a co-op? Did I really want to do it with these people in particular? I didn't know what their parenting styles were like in any detail and whether they meshed with mine. Besides, what if they all already had family members or paid sitters to watch their kids, or what if they all already had their own informal tribes and didn't need my manufactured one? Just in general, what if everyone said "no" — or nothing at all! — and I felt like a total loser who was pushing her friendship on random strangers? Ah, but dear readers, they said "yes"! They all said yes. Of course, that would be a great idea. Of course, we all needed that. Of course, none of us had all the help we could use from willing family members and neighbors. And, of course, all of us felt a little lost and a little lonely when it came to parenting our young kids. I checked out of the library this book: Smart Mom's Baby-Sitting Co-Op Handbook: How We Solved the Baby-Sitter Puzzle , by Gary Myers. It gives the nitty-gritty on how to get a babysitting co-op going, so I appreciated it. I wasn't as fond of the stay-at-home mom slant (but written by a guy! ), and I think we're going to make our own system apart from the particular one they solicit, but the book was a great tool for thinking through the right way to organize a group like this. 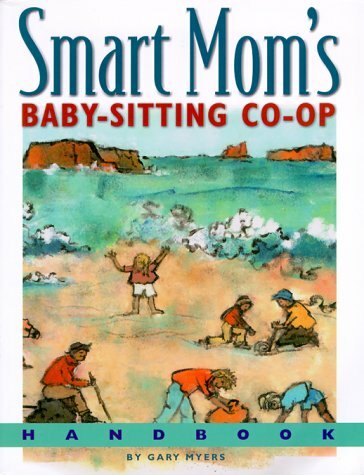 FYI if you're looking for other offline resources, there aren't many books on babysitting co-ops out there. Certainly, it's the only book I could find in our library on the subject, and in searching Amazon, I found only a couple other, out-of-print titles. 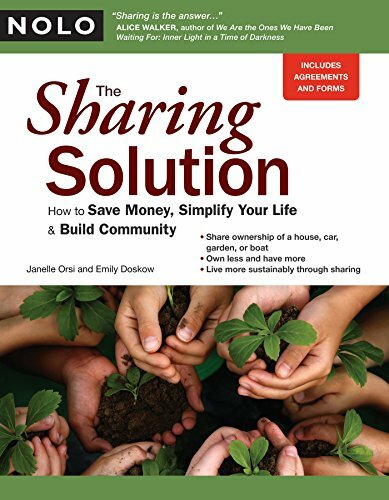 But this NOLO book on sharing in general — The Sharing Solution: How to Save Money, Simplify Your Life & Build Community , by by Janelle Orsi and Emily Doskow — looks intriguing and relevant for the idea of co-operatives and communal living from a broader perspective. Anyway, we haven't started our babysitting co-op yet, what with our move and all, but it's on its way, and I am, dare I say it, rather proud of myself for stepping out. This past weekend, I even said "yes" to a bridal shower where I knew barely anyone — and had a good time. Now I just have to help someone move and bring the tribe idea around full circle! So, I'm curious: What about you? Feel free to comment on any ways you've created tribe or community in your own life. 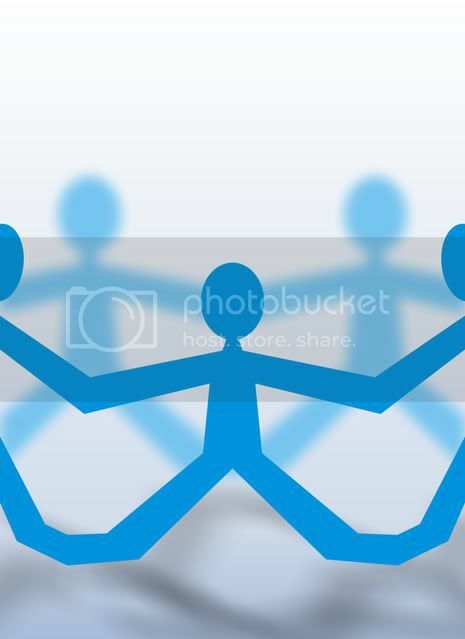 Is it a tribe of like-minded people (such as an unschooling social group, or an online group of blog readers! ), or just geographically similar (such as a moms group or my co-op)? I don't suppose there's any way to replicate what we've lost by living in cities and independently, and I actually don't want to turn back the clock and try to go back to some mystical and mythical past in the jungle (too many bugs, for one — ha ha! ), but I do think it's healthy for me, at least, to seek ways to gather people around me who can speak into my life and into that of my son as he grows. So, inspire and encourage me and give me more ideas: How have you chosen (or not yet chosen) community? LOVE the idea of the co-op! I can't wait to see how things come together for you- please keep us posted!